Last chance to enter the giveaway for the sewing machine cover. You must be a follower. 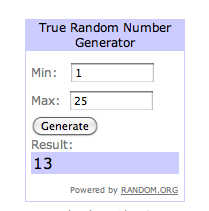 I'll draw the winner tomorrow morning. 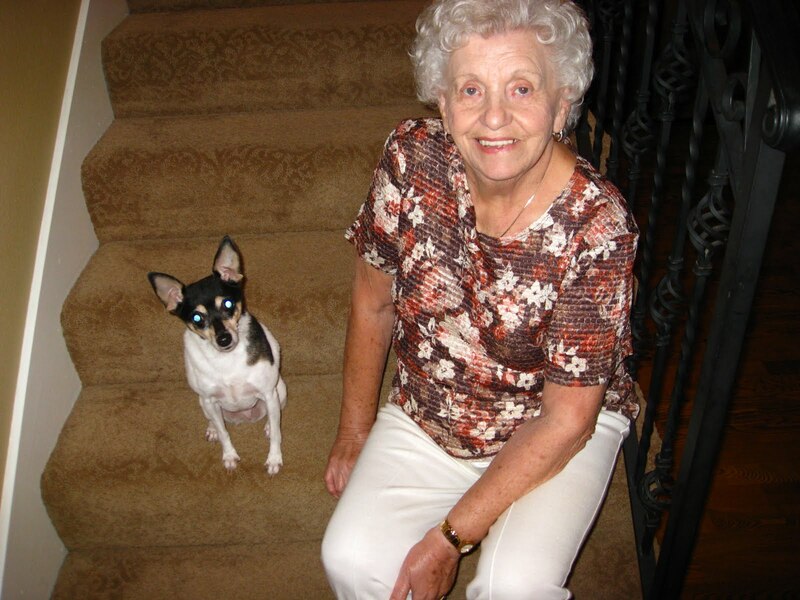 This is just a quick post to say hello and to thank everyone who has kept my mom in their thoughts and prayers. She is doing quite well and they expect her to be released from the rehab unit sometime next week. 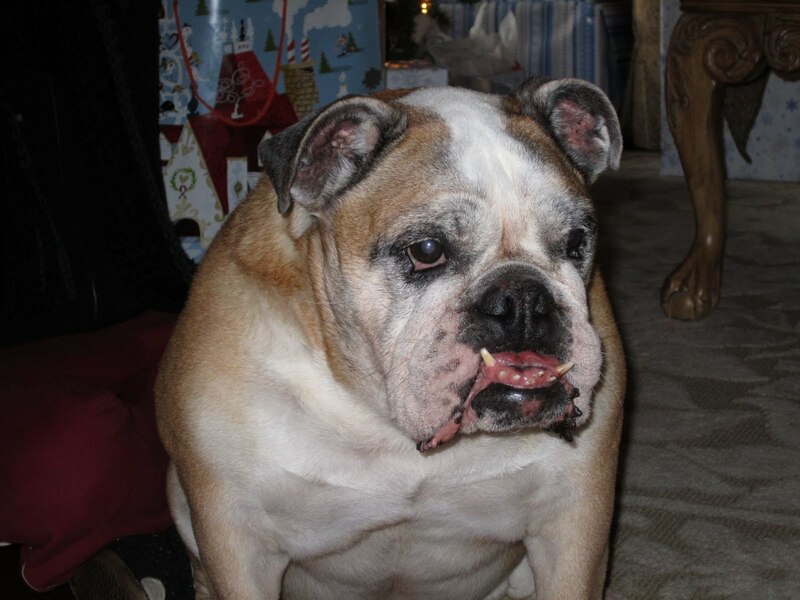 I know there is still a lot of work involved and hopefully we can get her back to where she was before her hip broke. On a happy note, because we had to cancel our mini-vacation to visit our son in Arizona, he and his family are coming here! Yeah, I still get to see my grandchildren and have all my family together again! I did make a little time for myself and got the rest of my bee blocks finished for my 3x6 bee on Flickr. I'm Hive #9. Hopefully, I can return to sewing and blogging on a regular basis real soon. Our little granddaughter, Davis, started pre-school a few weeks ago. 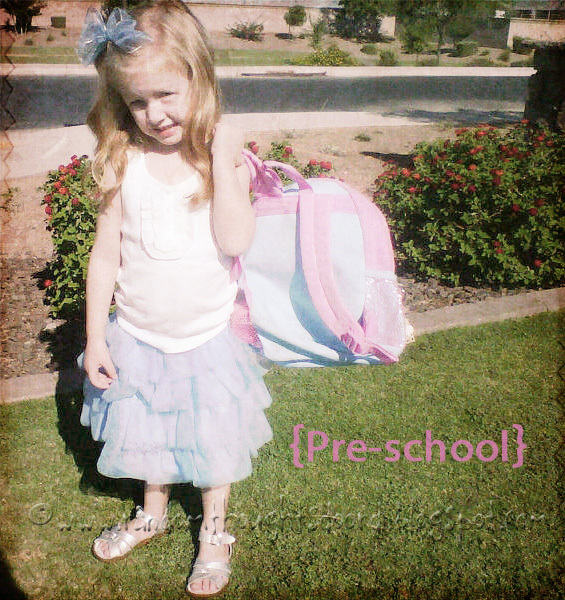 Here she is on her first day all ready to go in her layered skirt, silver sandals and backpack in hand. Can you stand all this cuteness? 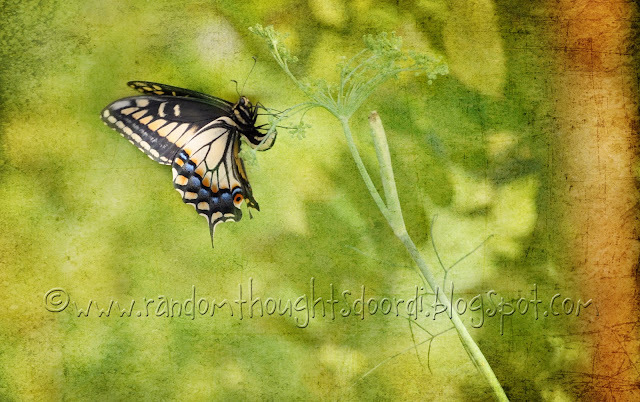 I thought I would use her photo for Kim Klassen's Back to School challenge for Texture Tuesday. After adding a layer mask and adjusting the hue/saturation to give it a more vintage effect, I used Kim's Just Stitched texture, soft light at 100% and Sweettart texture, overlay 100%. I am on call for jury duty all week so I don't want to plan anything or get too involved in a project because at noon everyday I have to call to see if I have to appear at 1 in the afternoon each day. Such a pain, but I am doing my civic duty, I guess. With that said, I forgot to make my list yesterday. Let's first see how I did on last weeks list. 1. Buy backing fabric for baby carrot quilt. Ordered, but not yet received. I had originally wanted to back it with carrot print fabric but I guess it is out of stock in most stores and I was unable to find it on line. But I have a new idea sparked by this pieced block. I can't remember who's blog I saw it on, sorry, so I can't give the credit to the creator of this cute block. 2. Start Swoon quilt I have completed two blocks so far. One was blogged about here and this is the second block. 4. Make 3 Farmer's wife blocks The Farmer's Wife and I had a break-up and I will return to this project after we make up. 2. Finish bee blocks for 3x6 Quilting Bee. 5. DON'T GET ORDERED TO REPORT FOR JURY DUTY!! 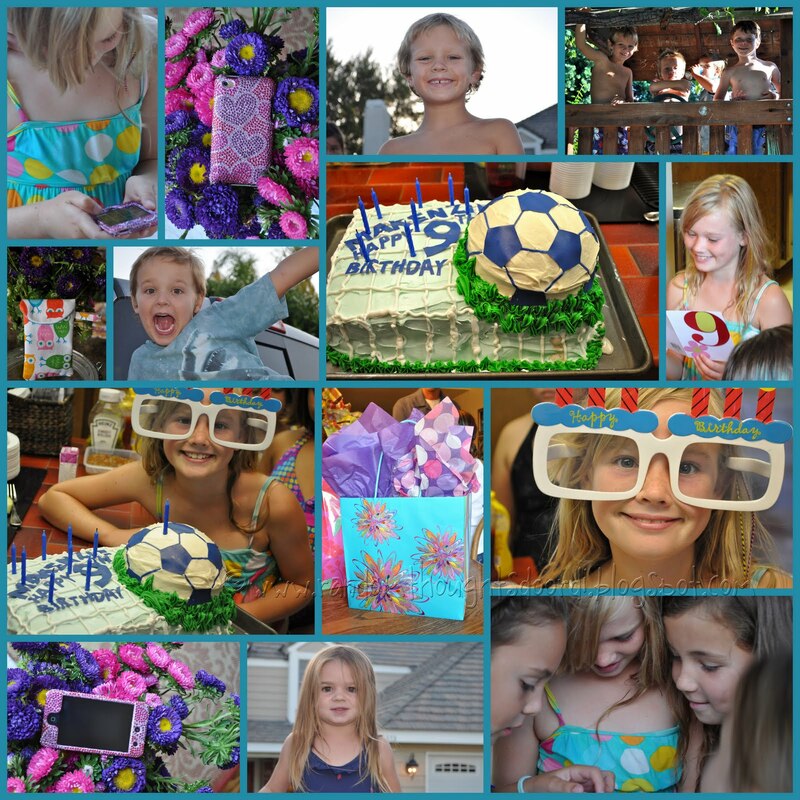 It's hard to believe that our first grandchild celebrated her 9th birthday over the weekend. It was so fun to see her with all her girlfriends, happy and giggling as they swam and ran around acting like "girls". Remember, I raised 4 sons, so I am not used to all this girl stuff. Makenzie had asked us many months ago if we would get her an ipod touch for her birthday. We were super excited to be able to give her something that she really wanted. It was definitely a hit! I even made her a cute little pouch (I followed this tutorial, making it 1/2" wider to accommodate the protective case ) to keep it in and protect the "bedazzled" cover we got her for it. For this week, we are pretty cool grandparents! Linking to On the Brink of Something Beautiful, once again. Here is the next giveaway to celebrate my blogaversary. It is a kitchen set of 1 pot holder, 1 pot handle grabber and a dish towel. 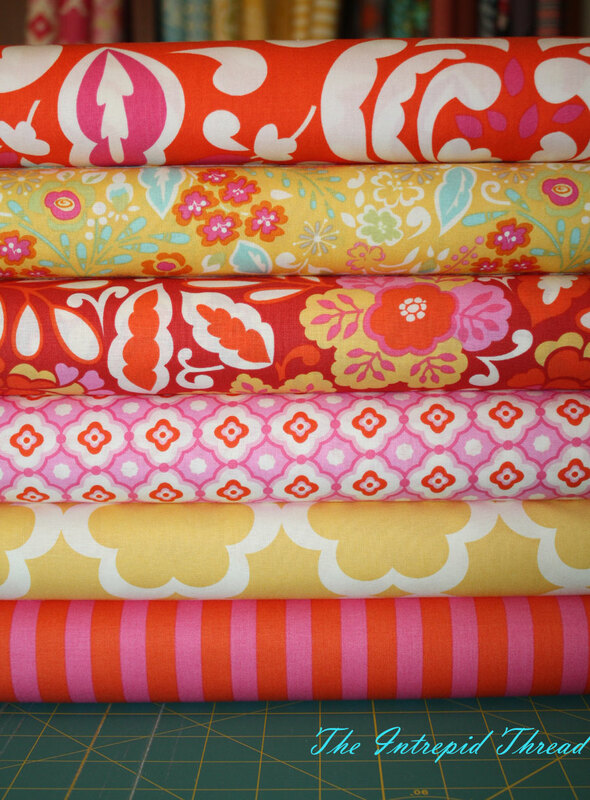 All made using Lori Holt's Sew Cherry line of fabrics. One lucky winner will receive these kitchen accessories. Leave me a comment telling me your funniest kitchen mishap. 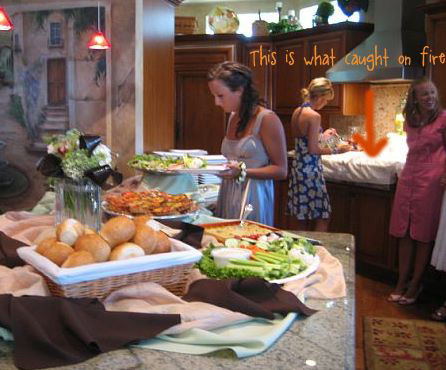 Here's mine...I was giving an elegant bridal shower for a friend's daughter to be and had covered the gas cooktop with a board, decorated it and then used it as more counter space. Someone walked by and leaned against the stove knobs and one accidentally turned on and started a fire. Luckily, we caught it in time. It was not funny at the time, but I can laugh about it now. This giveaway will close on Tuesday, August 23, 2011 at midnight, California time. Be sure to leave an email address if you are a no-reply commenter. Off to sew. Have a great weekend! Mr. R is at a class all day so I planned to get lots done today...clean up the garden, sew and actually take a shower and wash my hair! Ha! Ha! But here it is after 10 am and I am still scouring the blogs, Flickr and Pinterest while I watch Project Runway. I know, Procrastinator is my middle name. 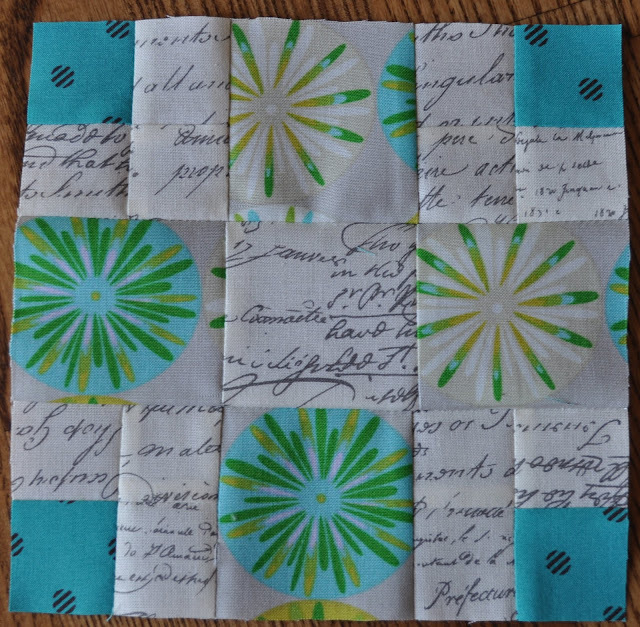 Here is the next installment in my Quilt Chronicles. This quilt was made for my sweet friend, Lindsay, on the occasion of her high school graduation, in 2005. Her mom snatched a few of her favorite t-shirts, some photos and childhood artwork of Lindsay's and I made them into a rag quilt. It's not my style anymore but it is definitely a memory for Lindsay and a soft and comfy reminder of her high school days. 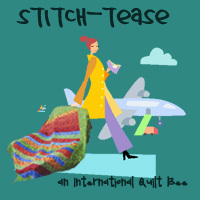 There is a wonderful giveaway at Jackie's Art Quilts, sponsored by The Intrepid Thread. I'll just say this TAZA! So gorgeous! linking up with Faith, Hope and a Whole Lotta Love's Wordless Wednesday. It's Texture Tuesday again and this week Kim has asked us to texturize a photo that expresses our favorite movie. I don't have just one favorite movie. Just this week I added another movie to my favorites list, The Help! This movie was so good and opened my eyes to the racism that was going on in our country when I was a young girl. I was so detached from that life style, living in California, that I only read about it in history books in high school. The book was good, but the movie brought all the characters to life. You must see this movie. 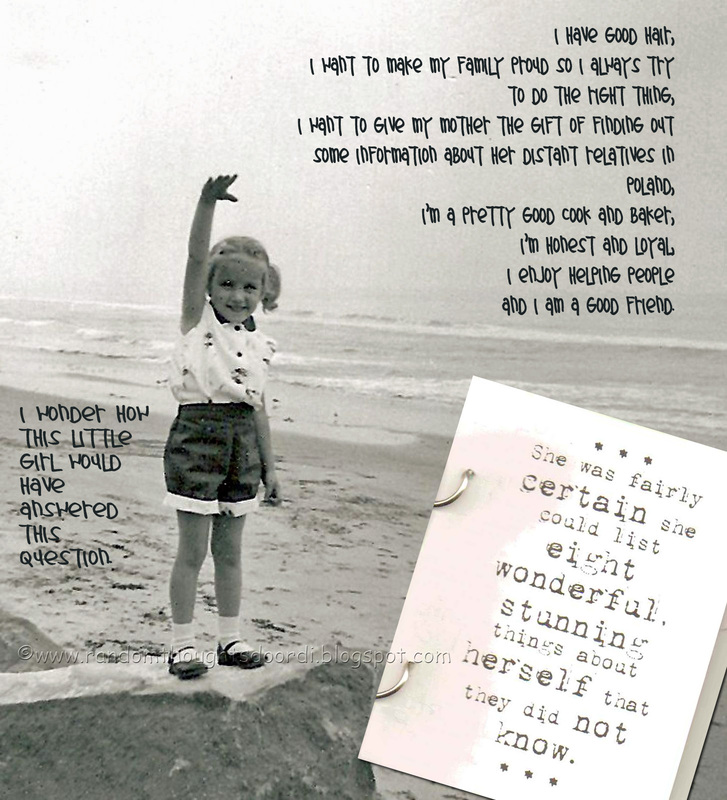 It is a tear-jerker, but so, so good! 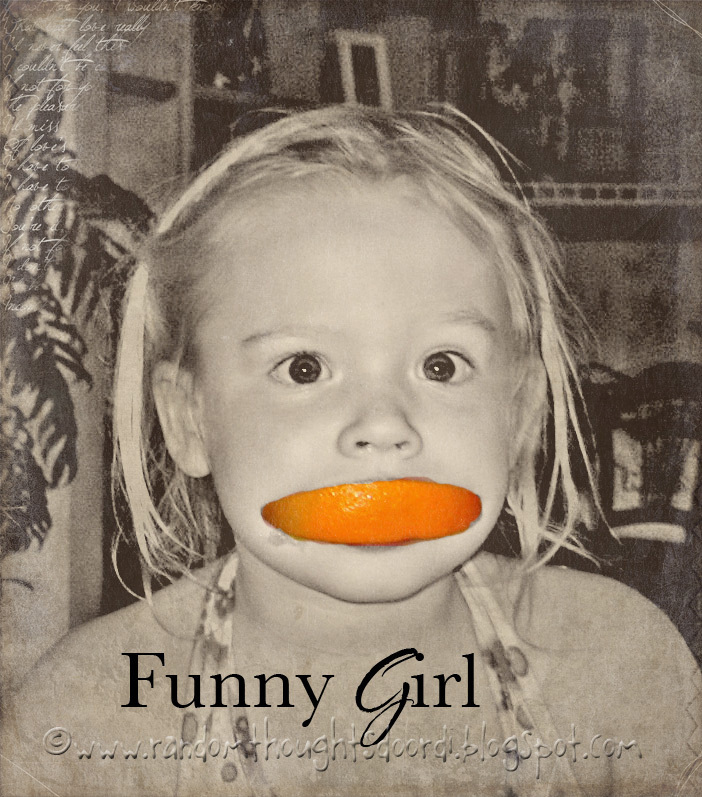 and my first favorite movie...Funny Girl. I am a huge Barbra Streisand fan and so I decided to use this photo of my granddaughter (from a few years ago) and call it Funny Girl. Makenzie and her brother were making funny faces while eating oranges with Papa. I used Kim's scripted edges and just stitched textures after using the Pioneer Woman's Heartland action. First let's see how I did on last week's list! 1. 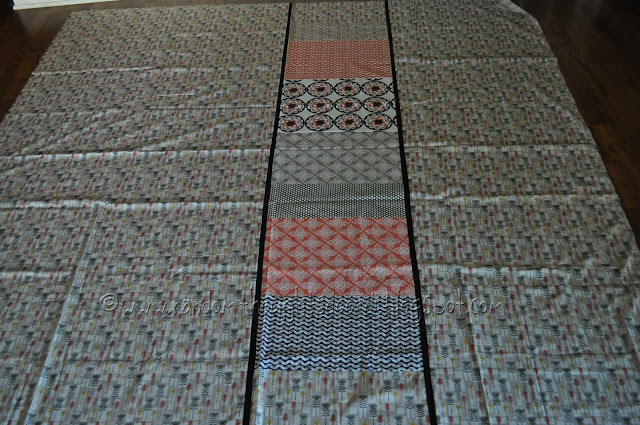 Add the sashing and borders to Baby Carrot's quilt. 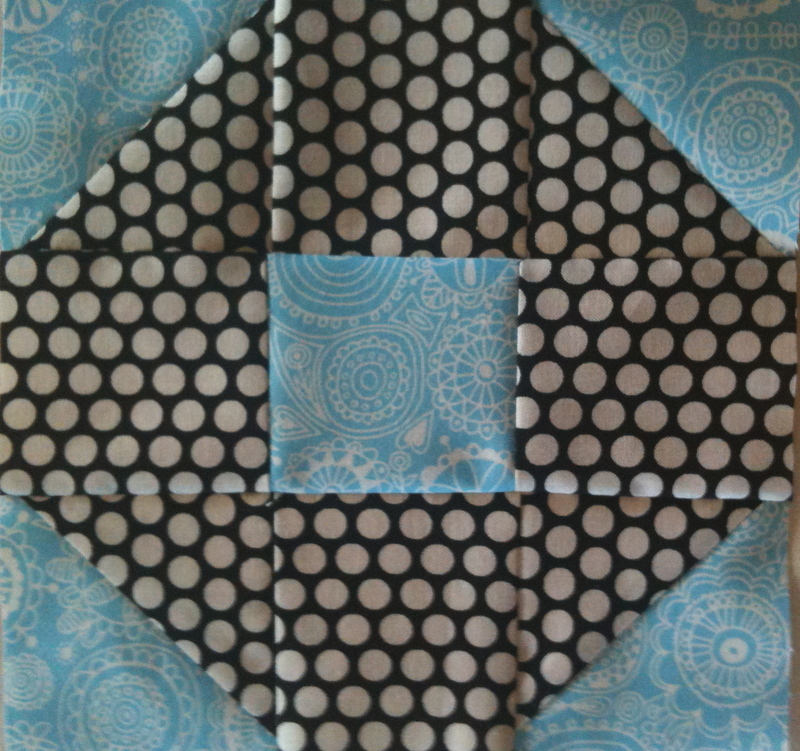 Buy the backing fabric and get it to the quilter. Finished the sashing and decided that's all it needs. I have not purchased the backing fabric yet, but I know what I want. Can you guess? After I purchase the backing I will take it to my local long arm quilter. 2. Sew the Rockin Robin quilt together and add borders. Get it to the quilter. It's ready to go, I just need to decide who will quilt it. 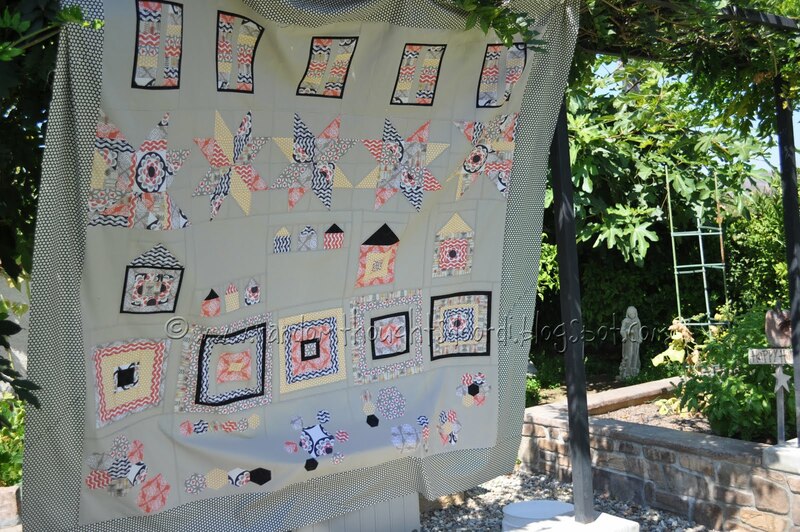 Lisa from That Crazy Quilt Girl has expressed a desire to quilt it. 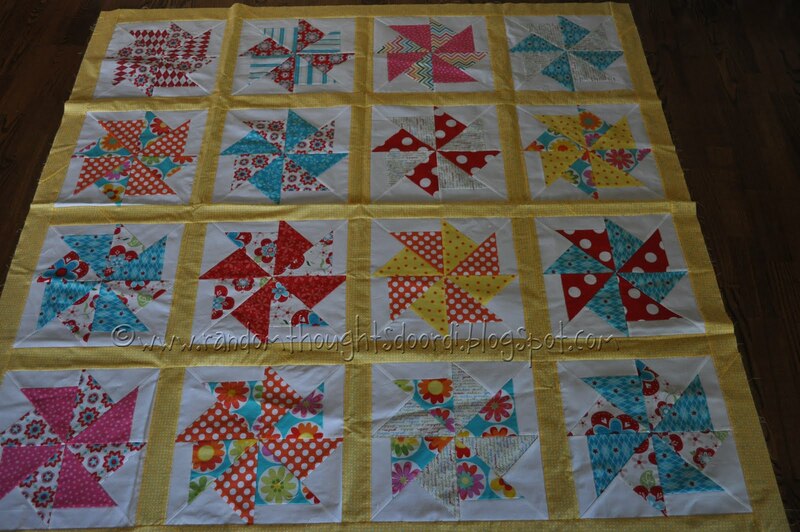 That should be a fun experience to have a new to me quilter put her spin on my quilt..
3. Make the postcard with a Bloom theme for the Do What You Love postcard swap. Finished, sent and already received by the recipient. 4. 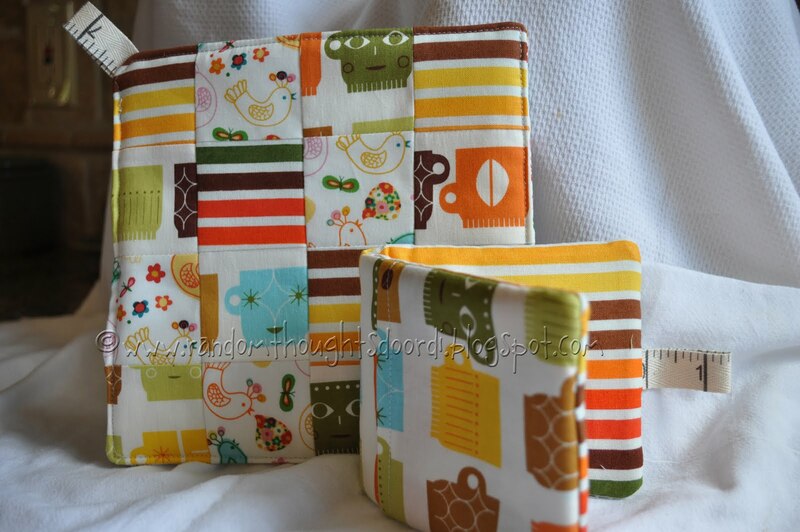 Make 2 Farmer's Wife blocks. I only finished one block. 5. 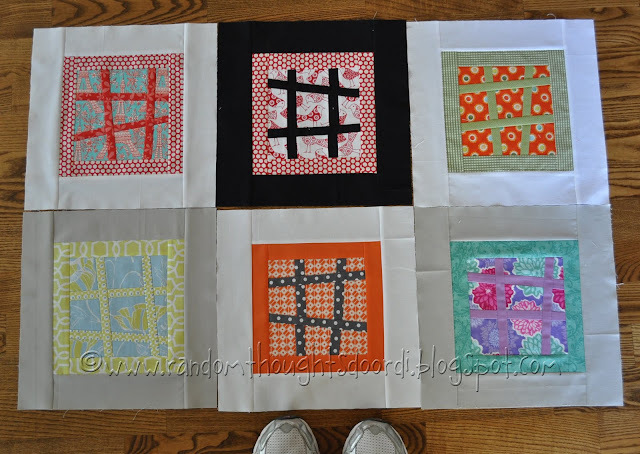 Choose fabrics for the Color Wheel Charm Square Swap. Ordered but not received yet. 6. Start the Swoon Quilt. This last one might be pushing me a little too much, but I am ready for a new project. Didn't even have time to think about it. Hopefully this week! 7. Do some secret sewing for another giveaway. Although I didn't get the giveaway sewing done I did make this cute little pot holder set to include in a housewarming gift for our friends. 1. 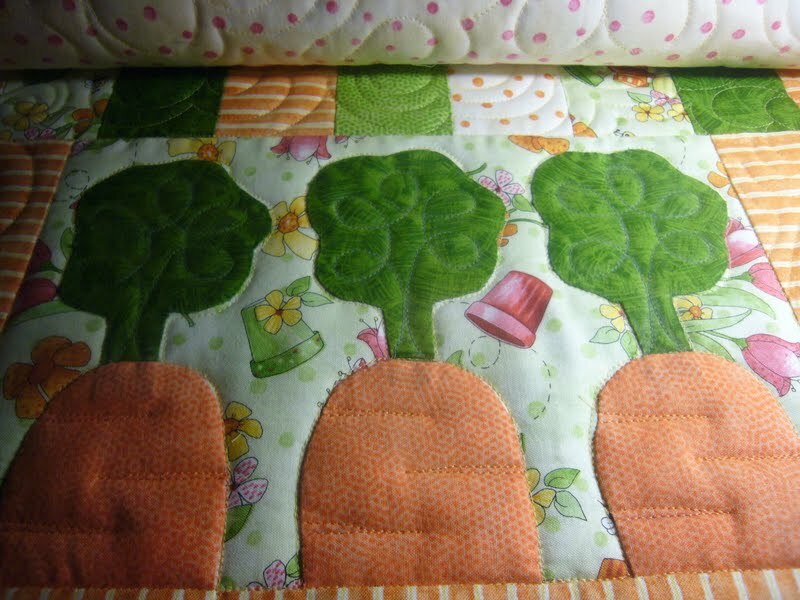 Buy backing fabric for baby carrot quilt. That's all I am committing to right now. I think I was putting too many demands on myself to get things done too quickly. It's not a race, this is just a hobby for me, right? If you haven't already done so, remember to sign up for the giveaway at the top right of the page. 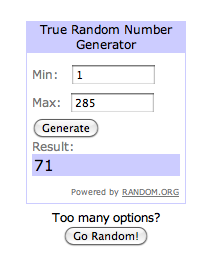 With the help of Random.org I will be picking the winner on Friday morning.